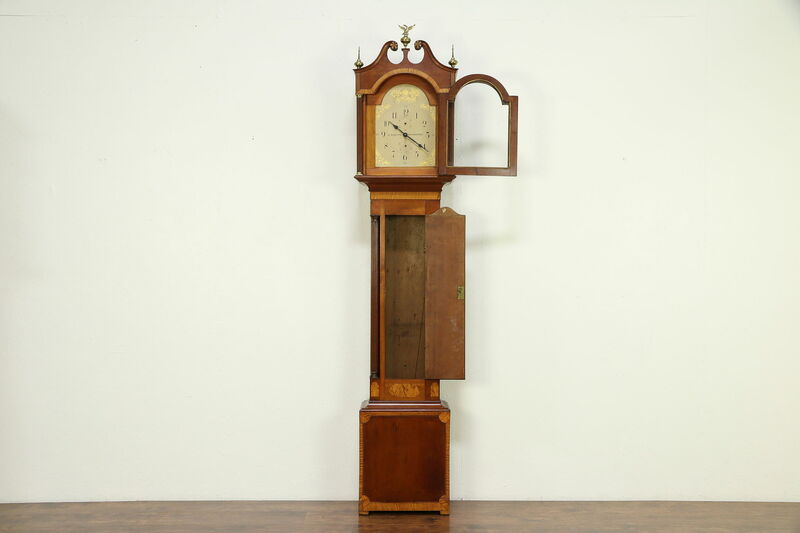 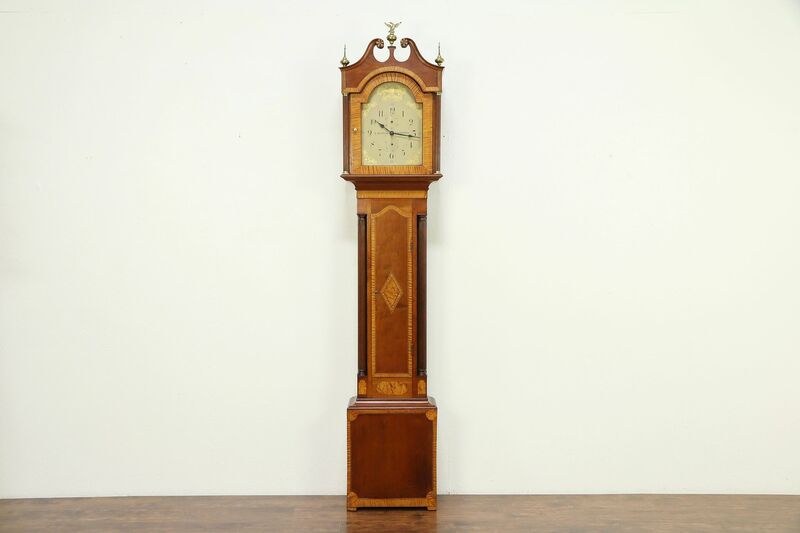 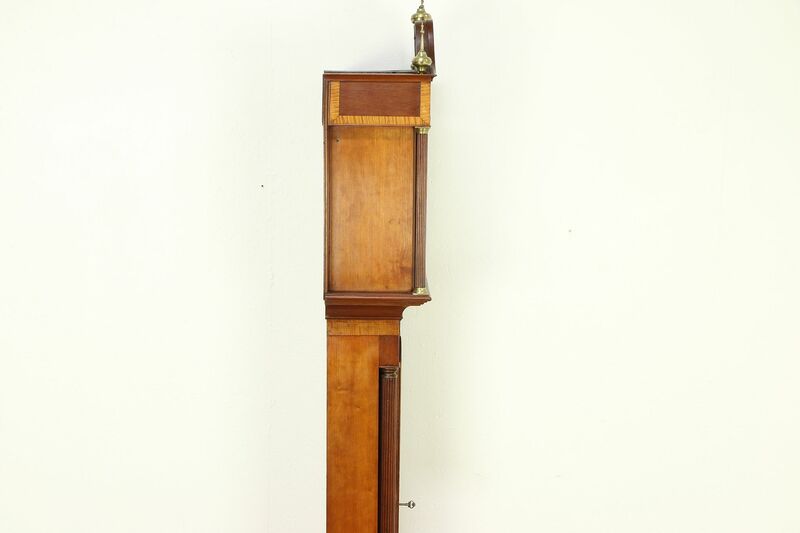 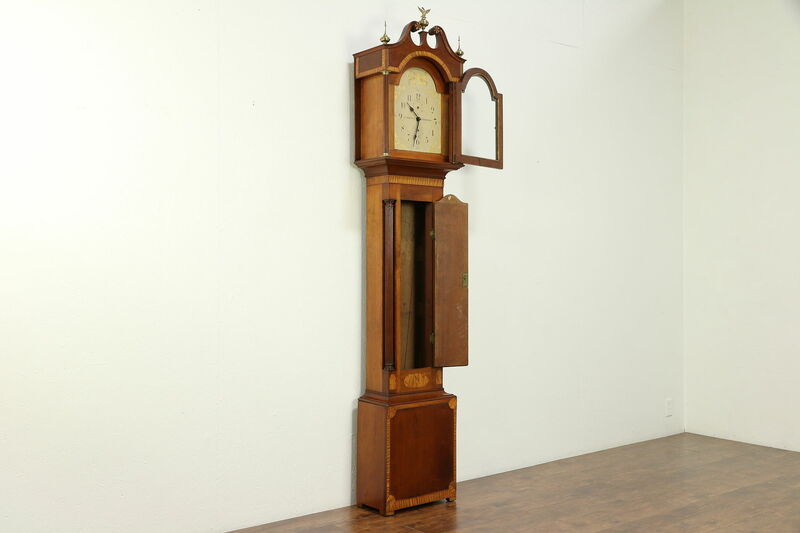 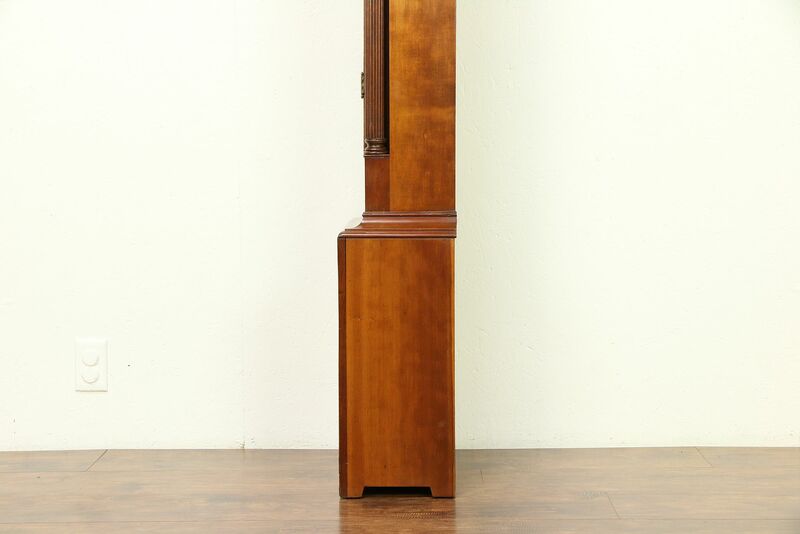 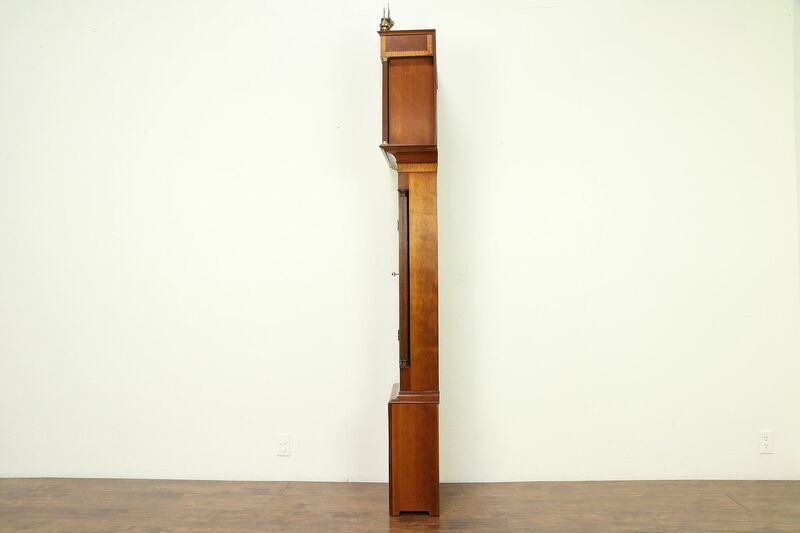 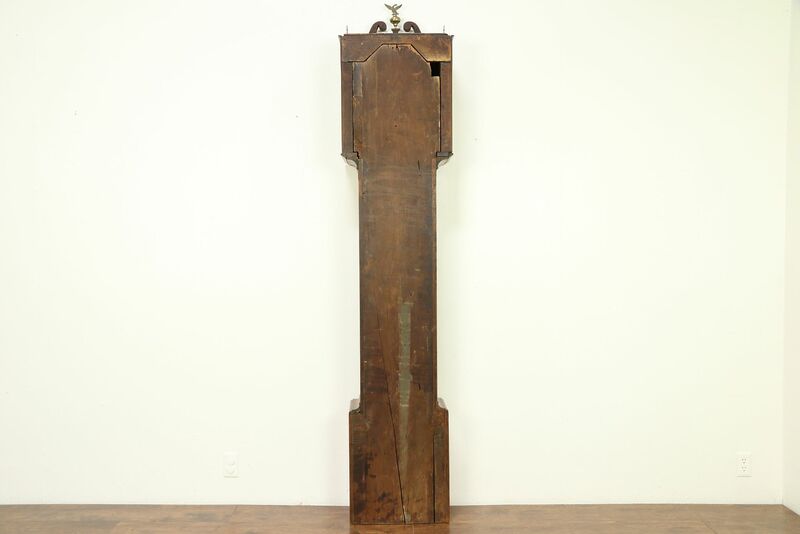 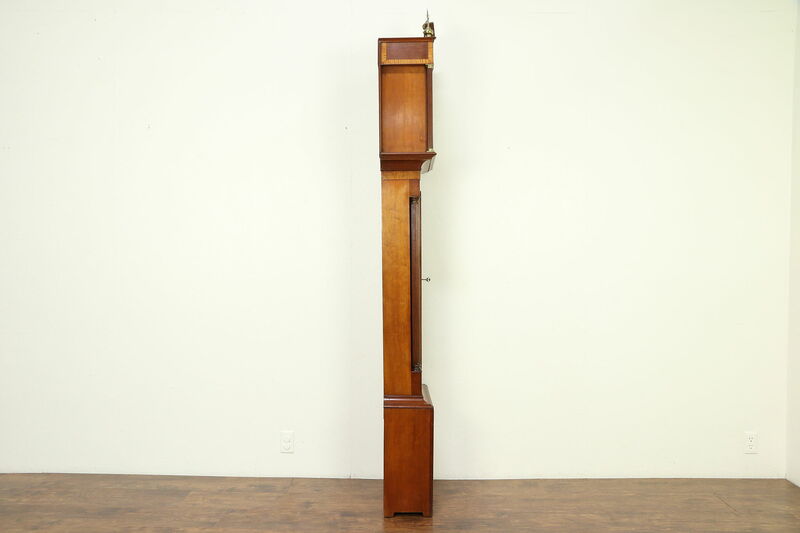 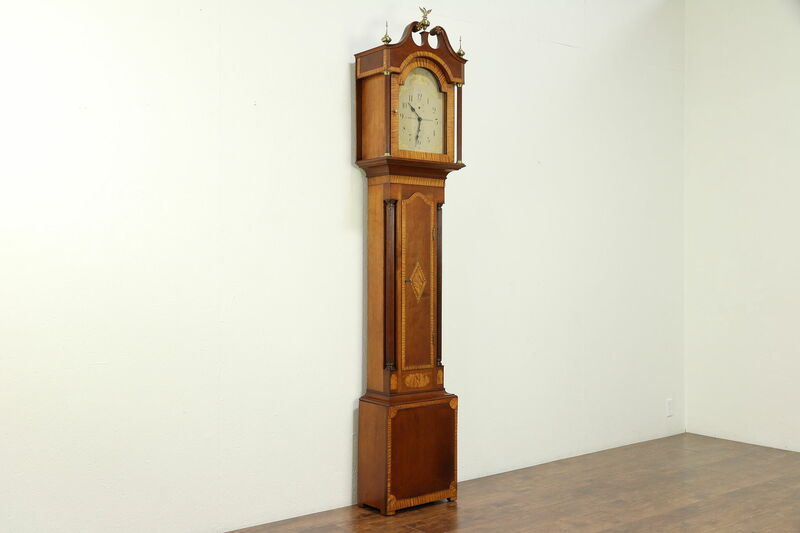 A tall case or grandfather clock is signed "R. Whiting, Winchester, " Connecticut, and dates from about 1810. 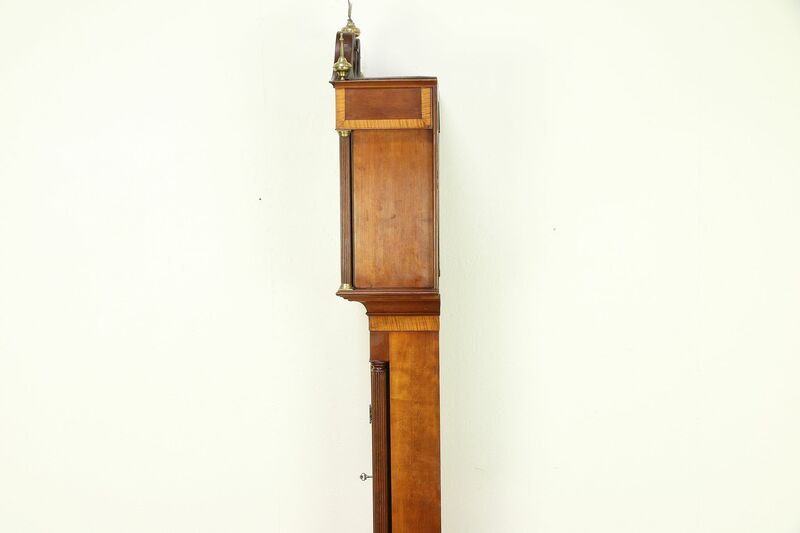 The modern quartz battery movement keeps accurate time. 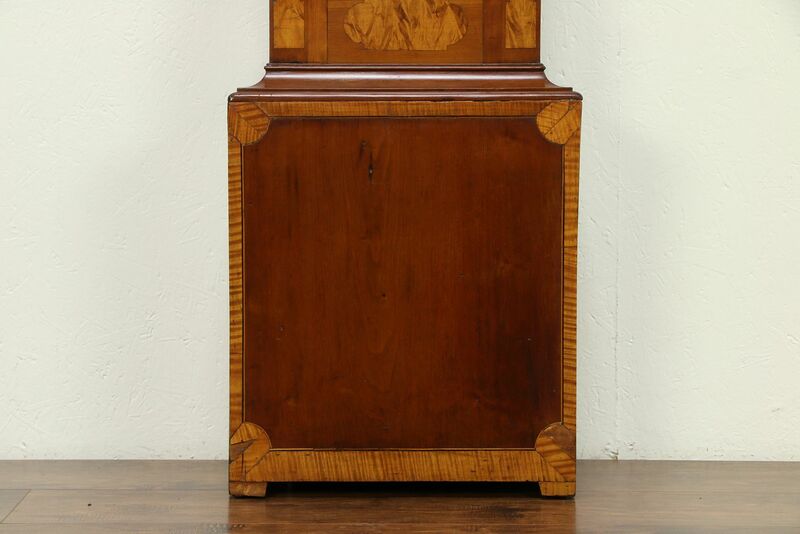 The marvelous case is solid cherry with overlays and banding of curly maple and ebony with an excellent satiny restored finish. 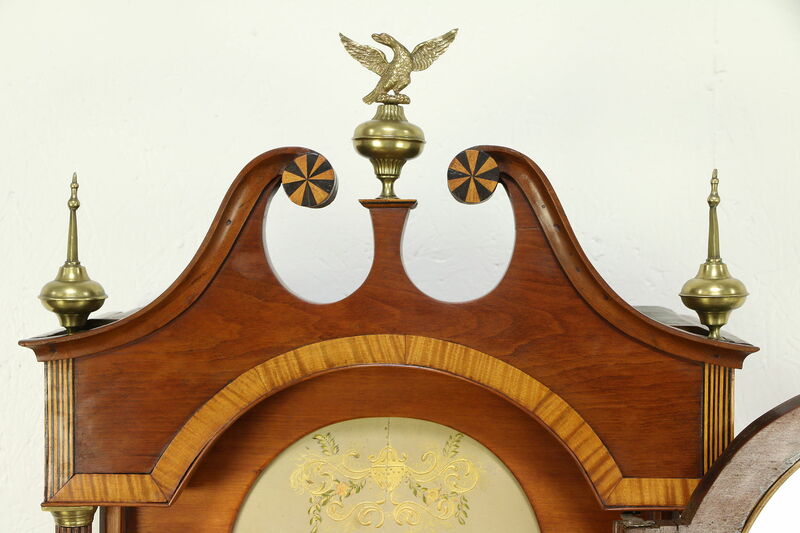 Delicate and well proportioned with reeded columns, there are brass finials and an eagle on the pediment. 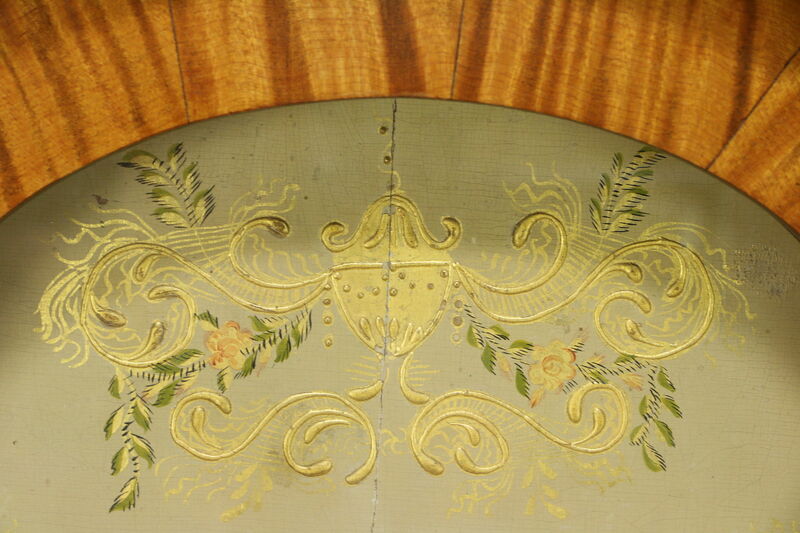 The original hand painted wooden dial has raised gold enamel and the signature. 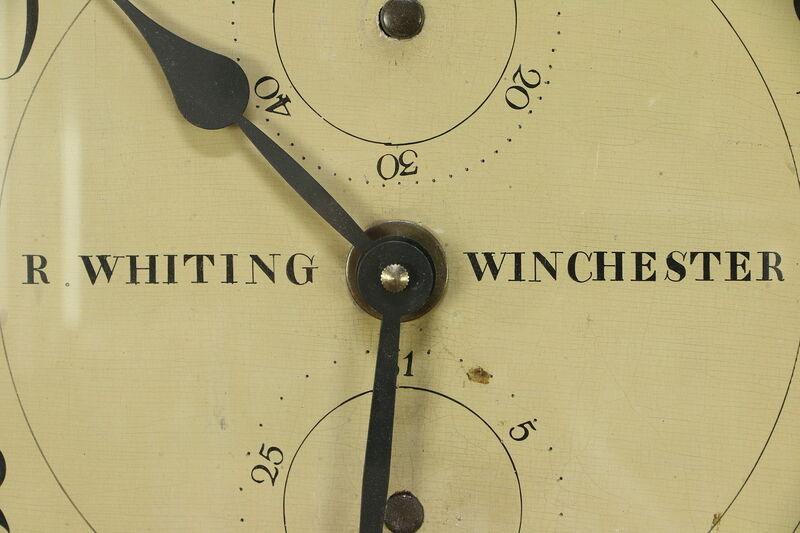 Riley Whiting was born in Torrington, Conn. in 1785. 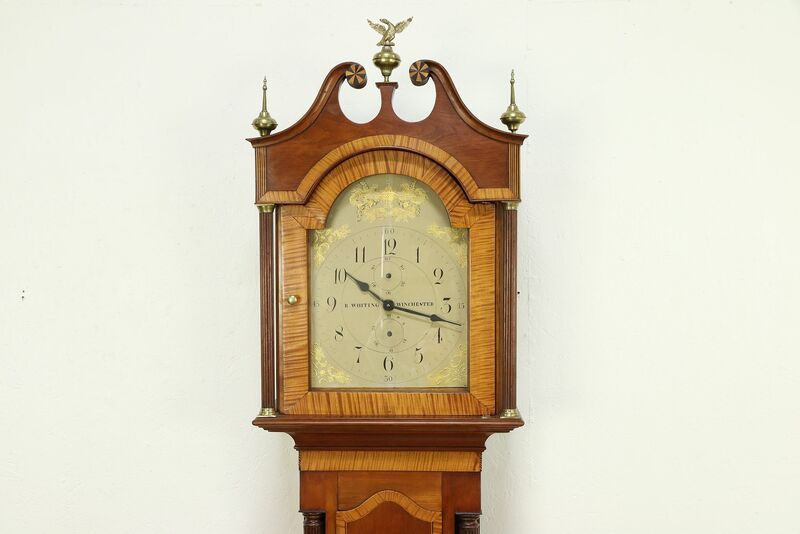 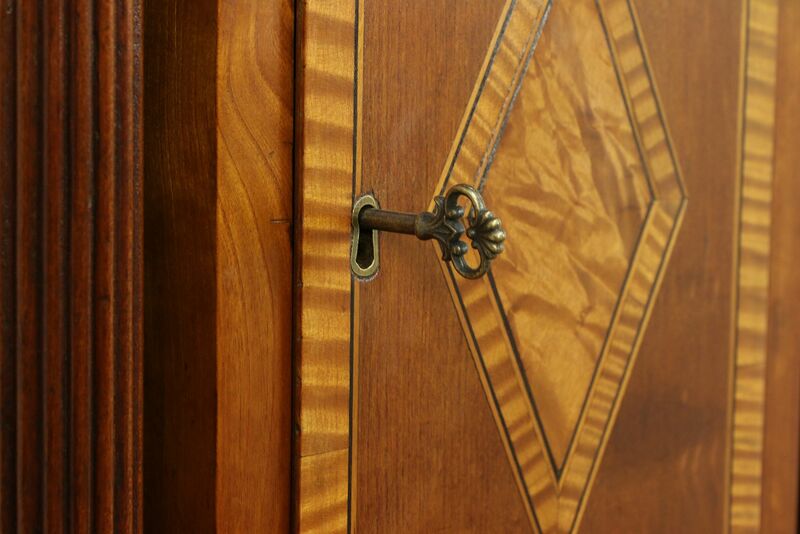 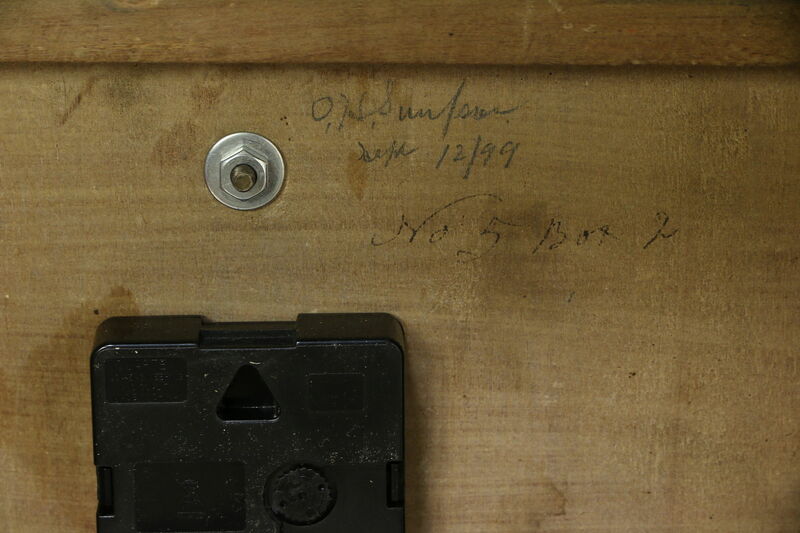 In 1806, he married Urania Hoadley and served his apprenticeship with the Hoadleys in Plymouth, Connecticut making wooden geared clocks. 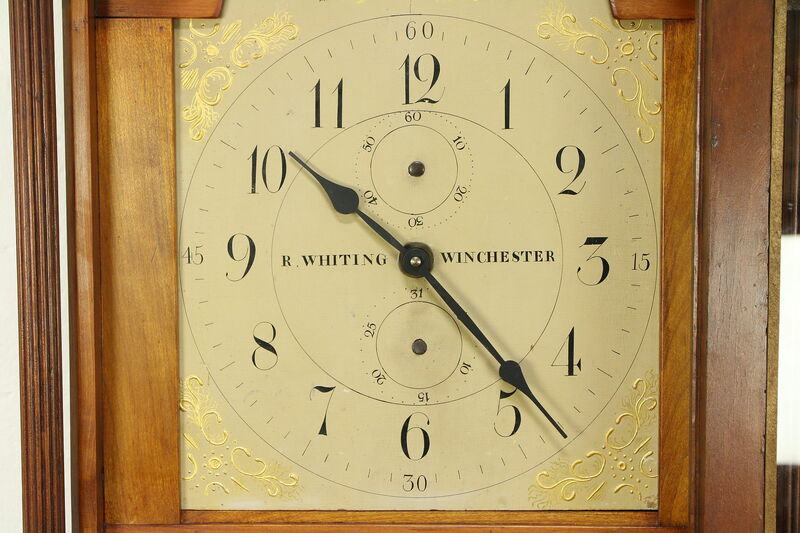 In 1807, Riley, Samuel Whiting and Luther Hoadley formed a partnership and began building short and long pendulum clocks in Winchester. 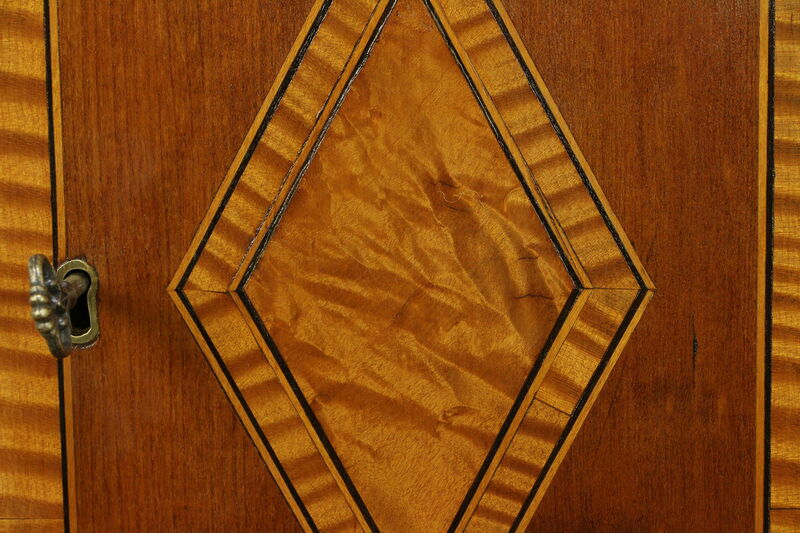 Luther Hoadley died in 1813 and about the same time, Samuel entered the U. S. Army. 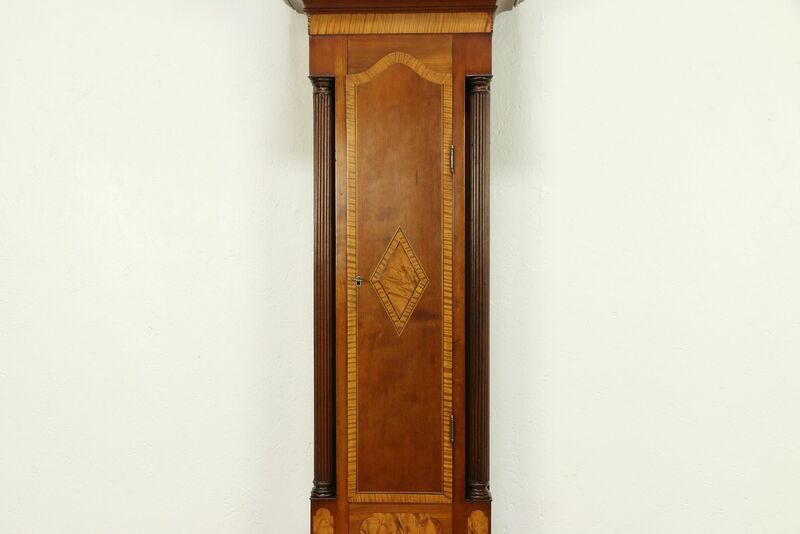 This left Riley in business all by himself. 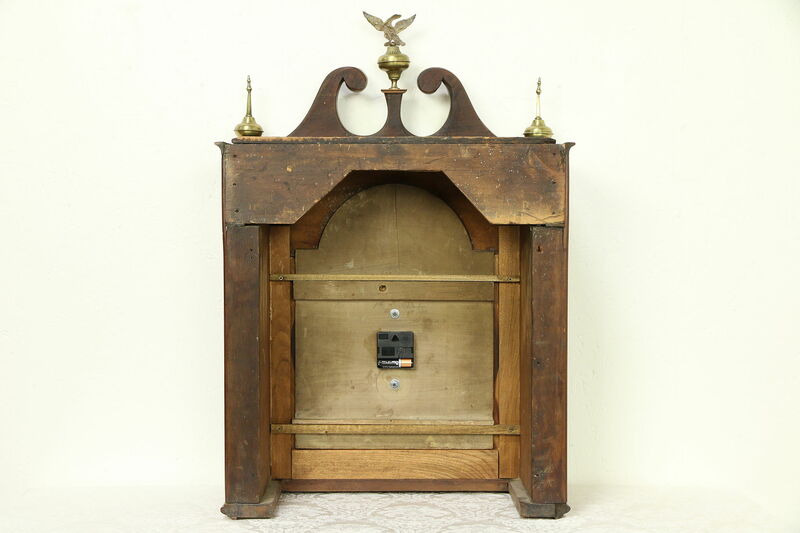 He continued as sole proprietor and in 1819 moved to the town of Winsted where he died in 1835. 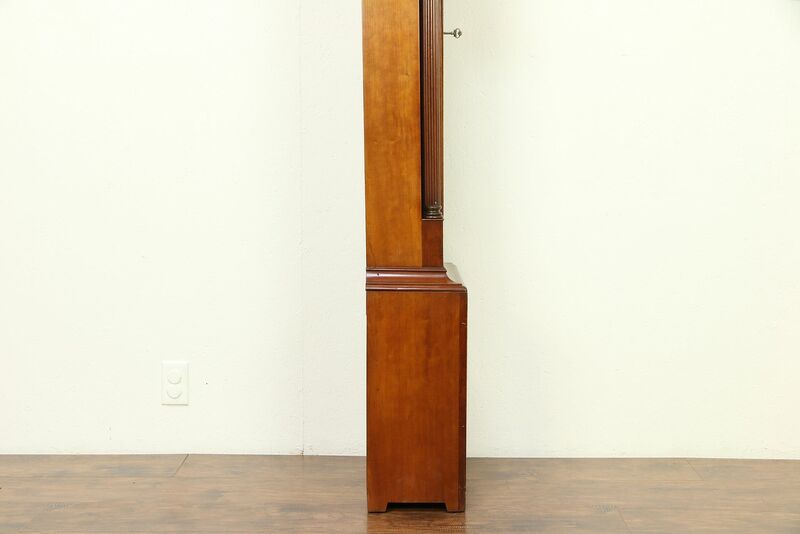 Size is 19" wide, 10" deep and 92" tall overall.